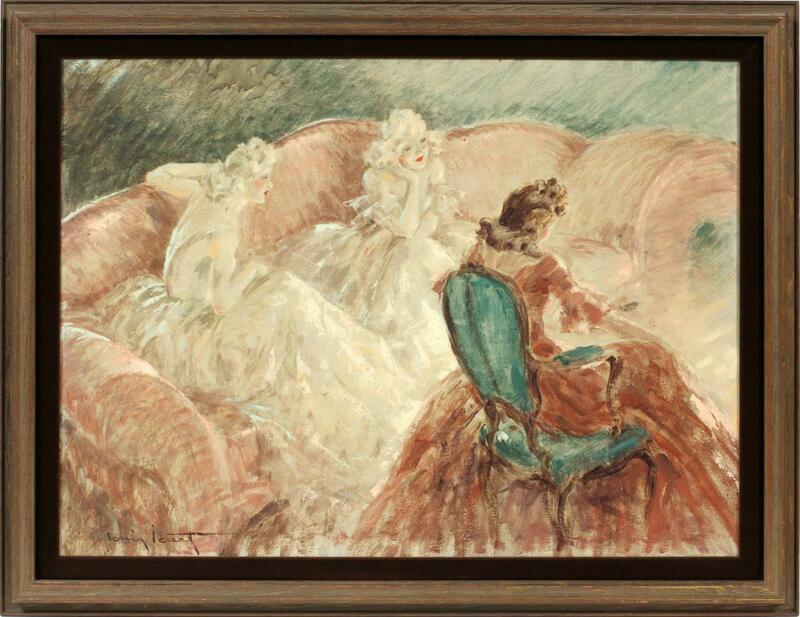 The market for Louis Icart etchings has been weak for years, but that weakness did not extend to the sale of three Louis Icart oil paintings in DuMouchelle’s three-day general auction, May 15-17, 2015. The first of the three paintings, lot #2051, entitled Devant Le Feu (In Front of the Fire), came to the auction block with a fair estimate of $7,000 – $10,000. It almost doubled its low estimate, selling for $14,400, including buyer’s premium. The next lot was the second Icart oil painting, entitled Satyre, Satyr (sp? ), with a strong estimate of $15,000 – $20,000 (but it was the largest at 32″ x 25½”). It sold at the low estimate, yielding $18,000, including buyer’s premium. 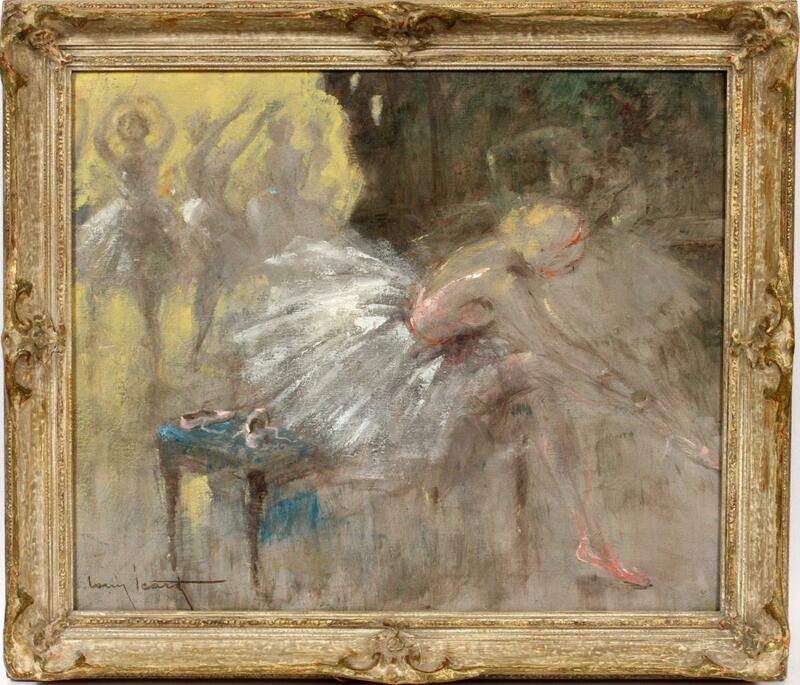 The best result came from the third Icart oil painting, of ballerinas (the best in my opinion). It doubled its low estimate of $7,000, to sell for $16,800, including buyer’s premium. 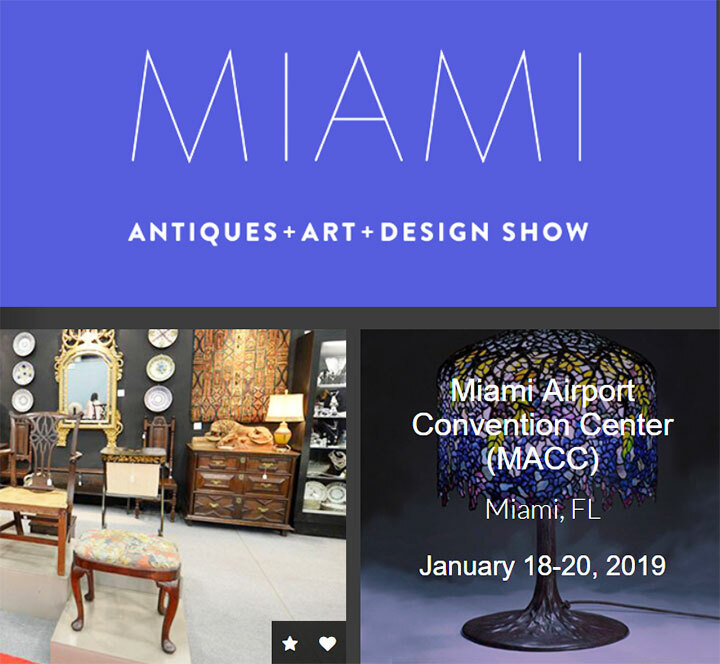 DuMouchelle’s is one of the few auction galleries that doesn’t post the results of previous sales, so there will be no link to the results of the sale. In the meantime, we’re still in Paris looking for more treasures. I will do my best to find some time to post some of these purchases on my website, but so far it’s been difficult. 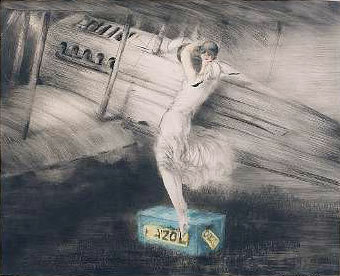 Christie’s South Kensington held an Interiors sale on February 19, 2013, with good results for works by Louis Icart. 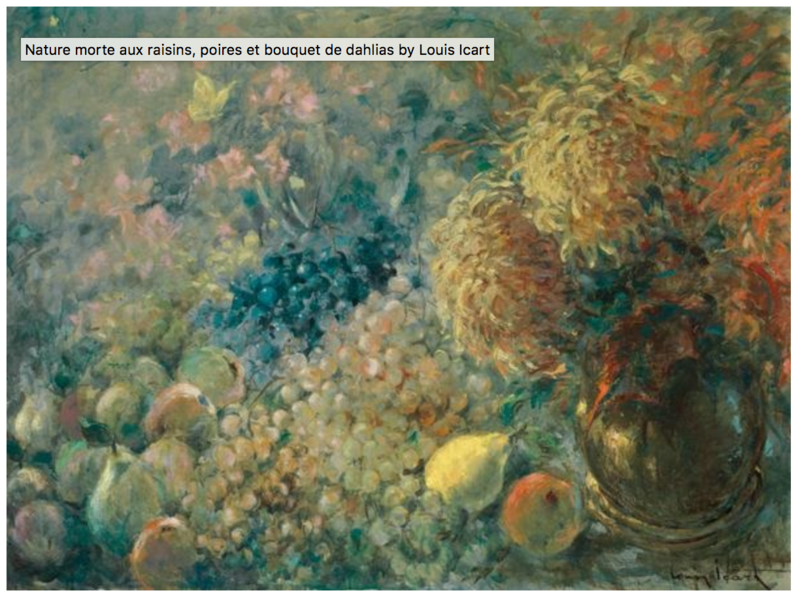 The auction house sold a diverse group of 33 items, including original works on canvas and paper, as well as etchings. 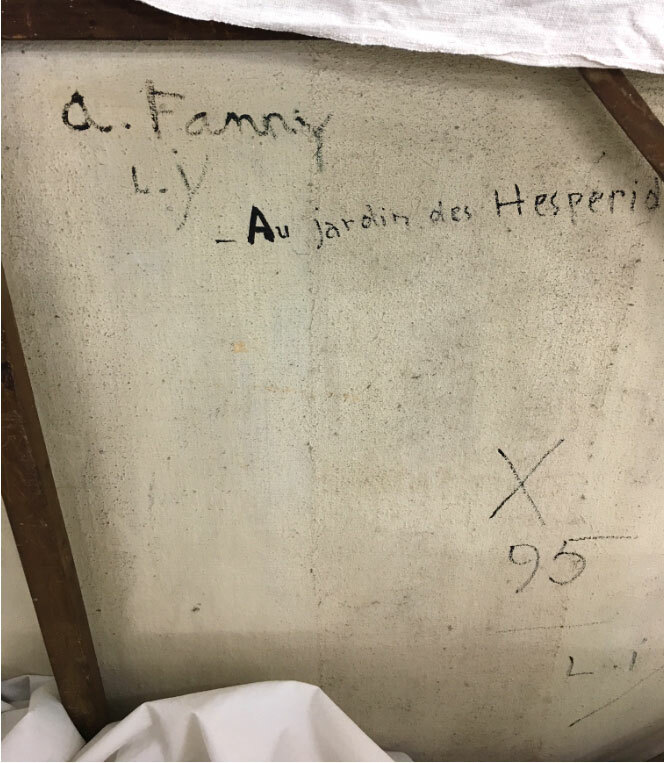 Top lot of the group was #465, an original 1919 oil painting on canvas of Icart’s wife, Fanny. 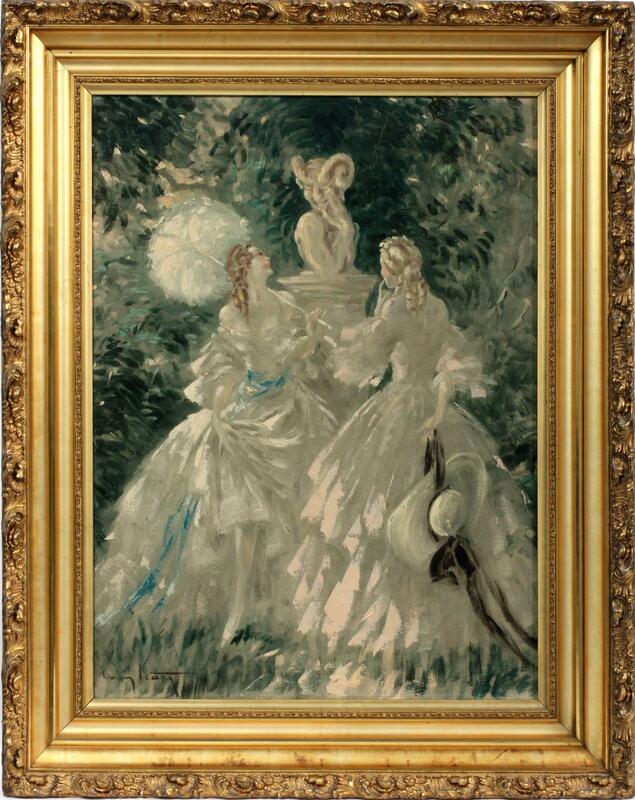 Even though the canvas was unstretched and in fairly poor condition, it tripled its pre-sale estimate of £3,000 – £5,000, to sell for £15,000 ($23,205) — an impressive result. Original, one-of-a-kind, works by Icart, including quick charcoal sketches, did very well at the sale. 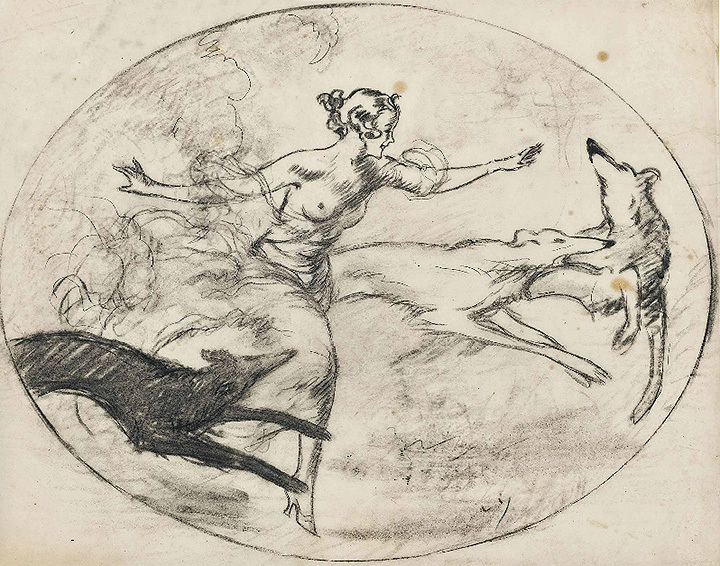 Three separate lots, that each included 2-3 drawings, all sold for the identical price of £6,875 ($10,636), for a range of $3,500 – $4,000 each. In each case, the result was many times the pre-sale estimate of £700 – £900. 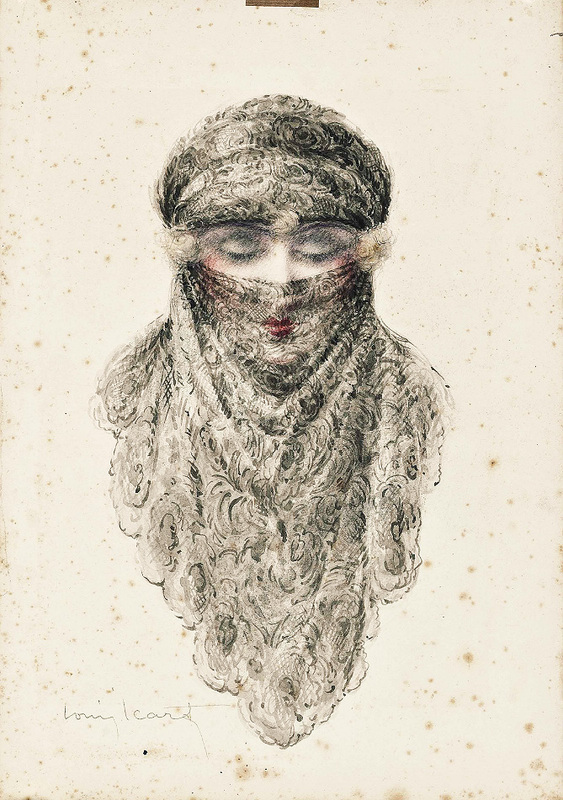 One of the most interesting lots of the sale was a signed, 17″ x 12″, pastel, charcoal and pencil drawing on paper, entitled Femme Voilée (Veiled Woman). 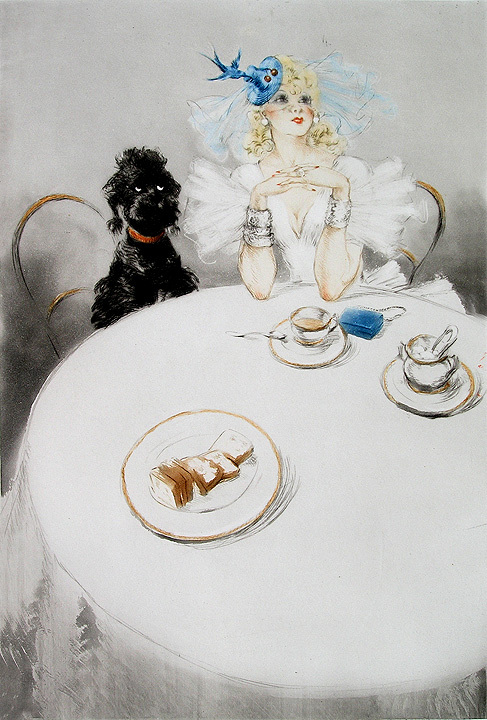 The model is Icart’s wife, Fanny. To the best of my knowledge, this image was never made into an etching or a painting. 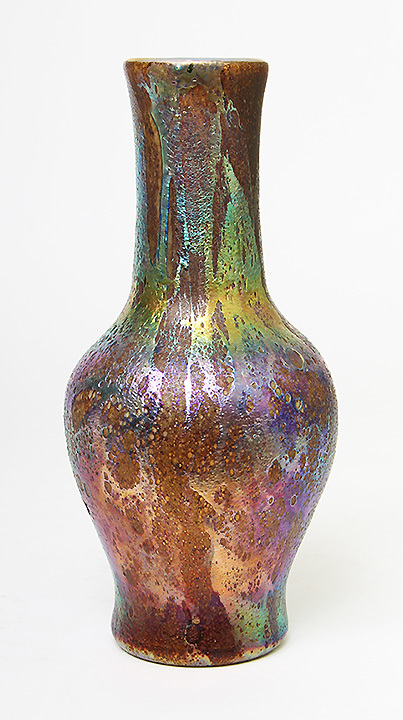 Selling as lot #473, it realized £2,375 ($3,674), against a pre-sale estimate of £500 – £700. 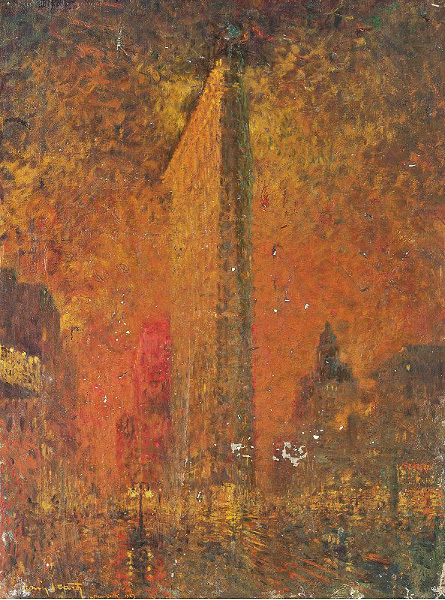 Another fascinating lot was #464, a Red Period, oil on canvas from 1923, depicting the famous Flatiron Building in New York. This would have been a great lot for any New Yorker who collected Icart. 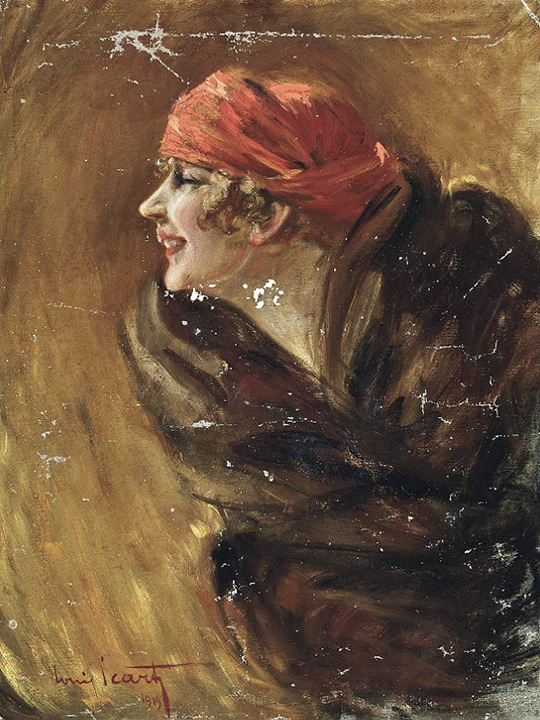 The canvas was unstretched and in only fair condition, but it still did OK, selling within the estimate of £3,000 – £5,000, realizing a final price of £3,250 ($5,028). It’s likely the painting would have fared much better if it had a pretty woman in the foreground. For the complete results of the sale, click on the following link. Christie’s Interiors results. 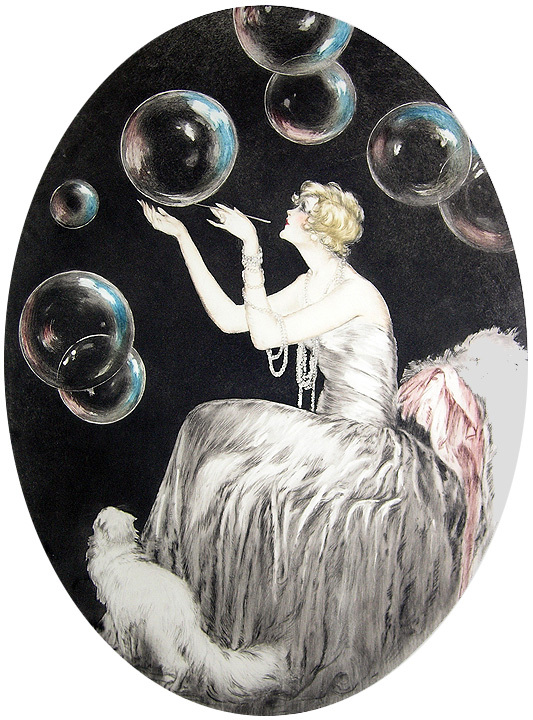 I last held a sale on Louis Icart etchings about a year ago. It went well, so I decided to hold another one. The timing before Christmas is good for collectors, decorators or anyone looking for a great present. The sale starts today and will continue for exactly three weeks, finishing on December 8, 2010. The next day, prices will return to normal. This is a serious sale with prices slashed to wholesale levels not seen since the 1970s. Contact me soon as the selection will get smaller as the sale nears the end. Total service is available, from custom French mats to silk mats with 24K gold leaf frames, all done to museum standards. If you’re in a hurry, there’s overnight shipping, but try to avoid that as the cost can be dear. Every etching comes with a certificate of authenticity. Every single etching is on sale, including some very rare and desirable ones that I’ve recently acquired. The list includes Bubbles, Guest, Before the Raid, Leda and the Swan and Masked, among others. Conservation (cleaning and restoration) services for your Icart etchings are also available. Light darkening and foxing can be reversed in most cases. The cost is $250 per etching if the etching is glued between a mat and a board. $200 if there is no mat, but the etching is glued to a board. $150 if the sheet is loose. Shipping and insurance are additional. For the complete listing of available etchings, click this link. Available Icart etchings.